After launching the Collectors series in 1982 with the full bowl blue guitar, Ovation with four super-shallow bowls. But in 1987 the deep bowl came back in a guitar designed to be the best sounding and looking instrument ever made in New Hartford. The AAA bear claw spruce top, covered with a clear coat with a vintage amber tone is stunning. The abalone trim of body and neck, the flamed peghead veneer, the carved top are pure American guitar art. 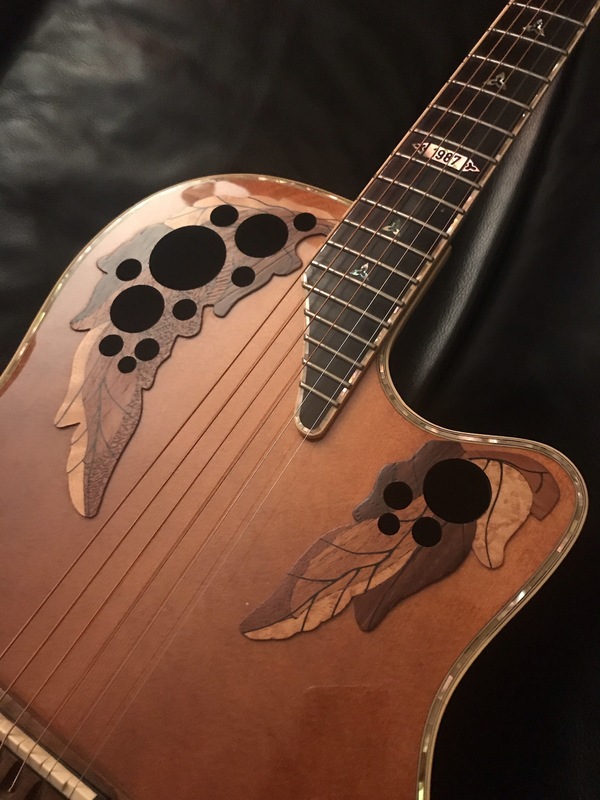 With the 1987 Collectors Ovation applied for the first time the fancy Custom Legend appointments to an Elite style guitar. 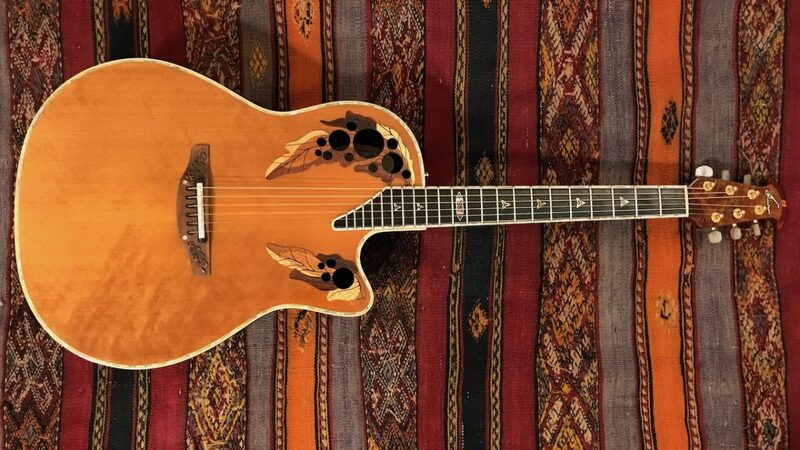 I never considered buying one because the 1987 is the most sought after Ovation Collectors guitar, therefore the asking prices for the clean ones are generally very high. But in March 2018 I found this beauty, originally sold in Italy in 1988, offered at a very reasonable price. It is mint, with a perfect neck, plays great, sounds awesome with a clear and full 100% Ovation Elite tone. Another jem in my collection. Thanks Federico!